“Harman Pro Announces Workplace Consolidation” was the headline heard ‘round the pro AV world in September 2017. “The changes we announced are the culmination of a transformation that the Professional Solutions Division has been undergoing for the last two years to better serve our customers, increase our competitiveness, and accelerate new product innovations,” David Glaubke, director of public relations, global professional solutions, Harman International said at the time. The restructuring plan included new experience centers around the world and “Centers of Competency” around the U.S. to allow the company’s engineers to focus on critical product differentiations instead of requiring them to develop motors, mechanical structures, and other supporting elements. 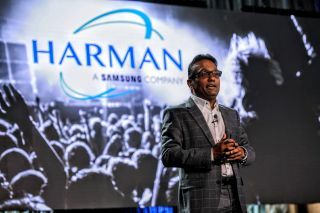 The changes began—at least behind the scenes—when Samsung Electronics acquired Harman International for around $8 billion in November 2016, with the deal closing in mid-2017. Parasher acknowledged that change can be hard—and that he knows it was difficult for Harman employees, but hopes that by setting a clear direction and vision for the company, the staff will continue to achieve company goals and enjoy working for the company.